We are introducing you our reliable oven cleaning that will help you to restore the perfect look of your oven. 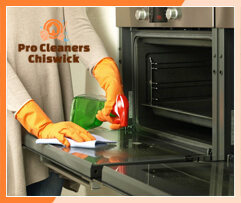 Pro Cleaners Chiswick has long collaborated with trained cleaners who are well acquainted with the latest cleaning technologies in oven cleaning. We offer excellent working schedules and we always strive to exceed the customer’s expectations. No matter of the day, you can be sure that we will send our oven cleaners as soon as possible. 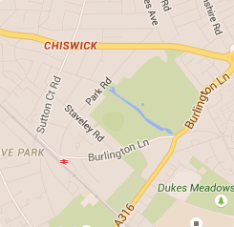 Book our oven cleaning in W4 Chiswick and trust the professionalism of our dedicated company. If you choose our oven cleaning, you can be sure that we will give our best to clean your oven from the stains and dirt. Through the years of hard work we have learnt how to apply the best cleaning approaches and how to clean all types of ovens in a perfect way. Choose our dedicated oven cleaning in W4 Chiswick and we guarantee first class quality implementation of each cleaning procedure. In case your oven needs extensive cleaning from top to bottom, but you feel unable to manage with this task, contact our comprehensive staff 7 days a week. We guarantee that we will take into account all of your requirements and that we will be glad to explain the steps of the working process. In addition to this, we will use the latest cleaning equipment that consists of non-caustic solutions and chemically free detergents. Choose our outstanding oven cleaning that we currently offer in Chiswick London and ensure the perfect atmosphere in your kitchen. Benefit from our reasonable prices and tempting offers and discuss all of your questions with our experienced oven cleaners. We also provide additional information through our customer support centre.